Close observation is one of the skills we use as scientists, naturalists, artists and writers. If you think about it close observation helps with lots of things. It is one of the ways we learn about the world around us. Looking carefully and then asking questions. This is what I did the other day while walking in the garden. I had my science notebook and my camera with me as always. I was walking on the path in the swamp. It was very sunny, hot and wet. 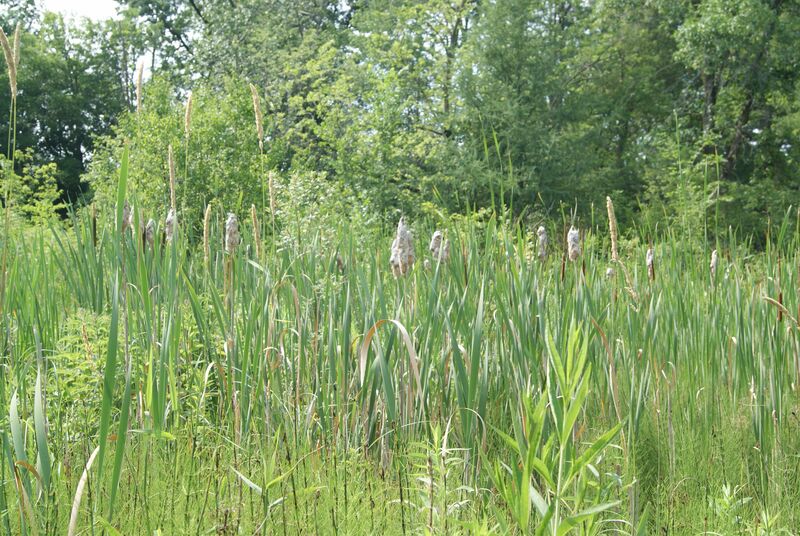 The Cattails were as tall as I am and the tiny little blue Forget-Me-Nots were blooming along the path. I was busy look at flowers when I noticed a group of odd-looking plants. 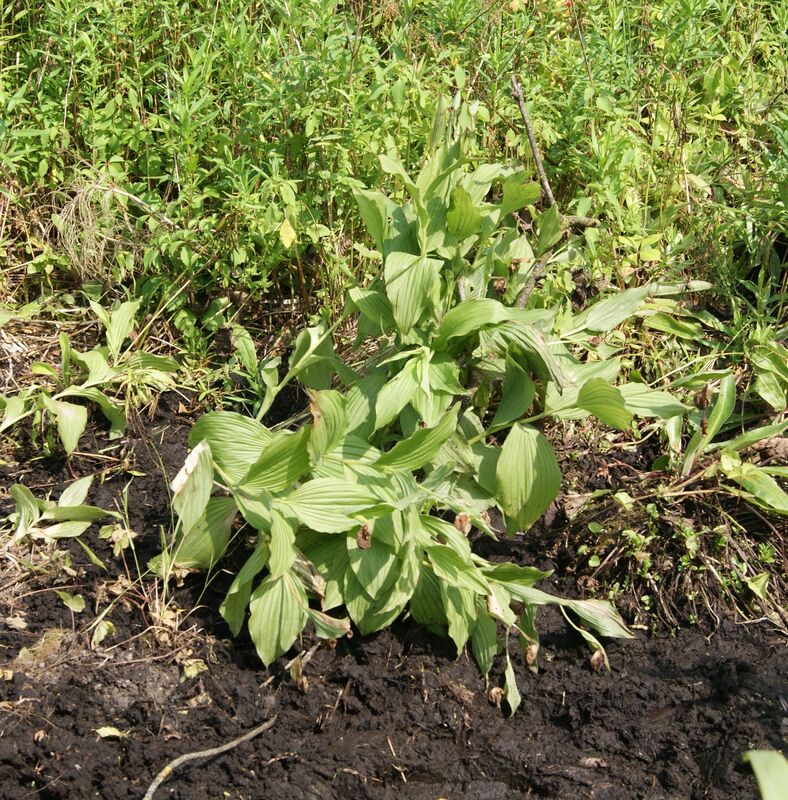 The plant was not odd it was a Lady Slipper and it was clear the flowers on the plant had died very quickly. What was odd was the plant look like it had been moved. There were foot-prints all around it and the ground seemed to have been dug up. Now this is what I thought I knew about this specific garden – it is a wild garden, the plants grow here on their own, you are suppose to stay on the path to protect the plants and no plants are taken out of the garden. So what happened to these plants and the land around it? I decided to ask the Garden Curator, Susan Wilkens (she is the person who manages and maintains the garden) and the Naturalist, Lauren Borer (she is the person who guides and teaches people about the plants and the wood lands). They let me know that plants in the garden some times need replacing. They don’t always continue to grow on their own and they need to plant new ones. The naturalists are also are part of a group of people who do what is called plant rescue. This is what happened with the Lady Slipper plants. They were rescued. There is a roadway in northern Minnesota called the Lady Slipper Scenic Byway, http://www.ladyslipperscenicbyway.org/. This road way is being repaired this summer and there were lots of Lady Slipper plants that needed to be moved to a new home or they would be destroyed. It was part of Susan’s job to drive up and gather some of these plants and bring then back to the garden. They were very careful to dig up the roots systems and to replant these flowers in a location they thought would be best for the plant. Since there were already Lady Slippers growing in the swamp area of Eloise Butler Wildflower garden they hoped this would work. Susan told me that although the plant looks like it will be ok it really might be a few years before they know if the new home will work for these plants. They will need to watch the flowers each spring and record what they see and when or if it flowers. Now I understand that the garden is getting new plants all the time. They are planting trees, flowers and shrubs to replace what might be dyeing out or that might be missing from the garden. Susan needs to use a plant notebook to keep track of the changes in the garden. She always puts the date, and the weather in her notebook before she writes notes and makes drawing to help her remember what is changing in the garden. She is using close observation all the time. It is now your turn to use your observation skills. Take a walk in the garden, a neighborhood park or your back yard. Choose a plant that you want to watch over a long period of time – this summer (2012) all the way to next summer (2013). Write a description of your plant – do you know its name? Be sure to write down where to find this plant so you can come back to observe it closely all year. This will be your plant to watch and learn about over time. When you are at home or the library you might want to look up more information about your plant that you can add to your notebook. Plan to come back to watch you plant each month to see how it has grown or changed. Leave me a comment and let me know what plants you are planning to watch this year. I will be watching the Lady Slippers. This entry was posted in Garden Learning, science notebook, Writing and tagged descriptive writing. Bookmark the permalink. hey Ms. Toft how are you plants at the garden? i hope we can see Ms. Missy next monday. I connected to your post from SOLSC at Two Writing Teachers. I like the idea of observing a plant over a long time. I know several that I wish I had more of a record of… I wrote a poem about a maple tree that I started in my yard from a “volunteer” in my mom’s yard (actually, there are two). I wish I had pictures and descriptions of them from every year- I remember how small they were at first, and I didn’t know if they would make it. One summer one of them was more like a giant bush than a tree. Now both are very tall trees. I think of the Rose of Sharon bush in my mom’s yard. We have some pictures of it when it was huge. Three years ago, it died down to nothing but a root. My mom cried! This year, it stated growing again, and has several branches just full of blooms! By my front porch, I have some pink hibiscus. This year, the flowers were kind of small and short-lived, I guess because of our hot, drought conditions. Last year, the flowers were as big as plates. 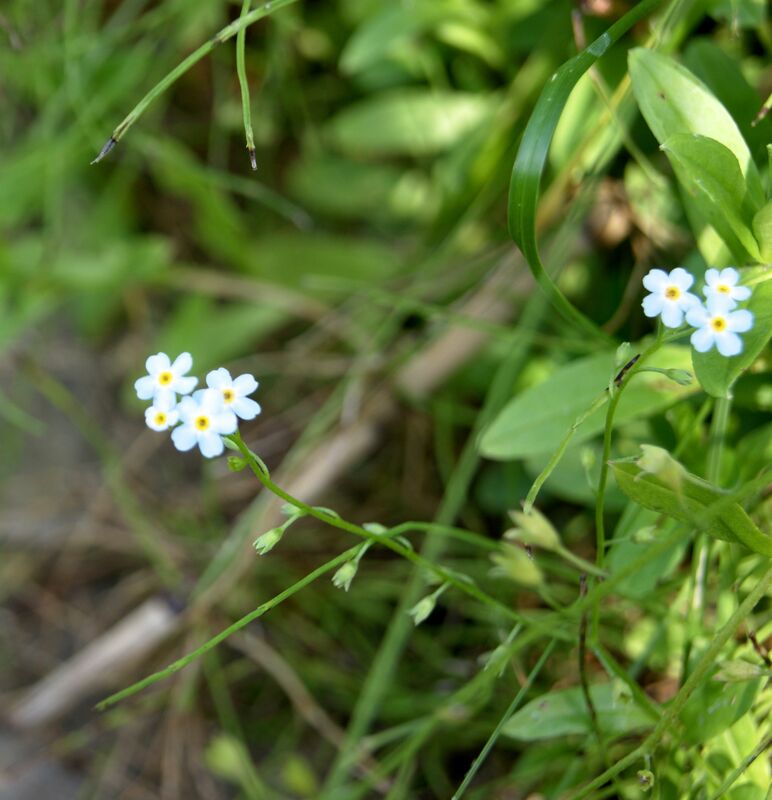 I love the tiny blue Forget-Me-Nots!